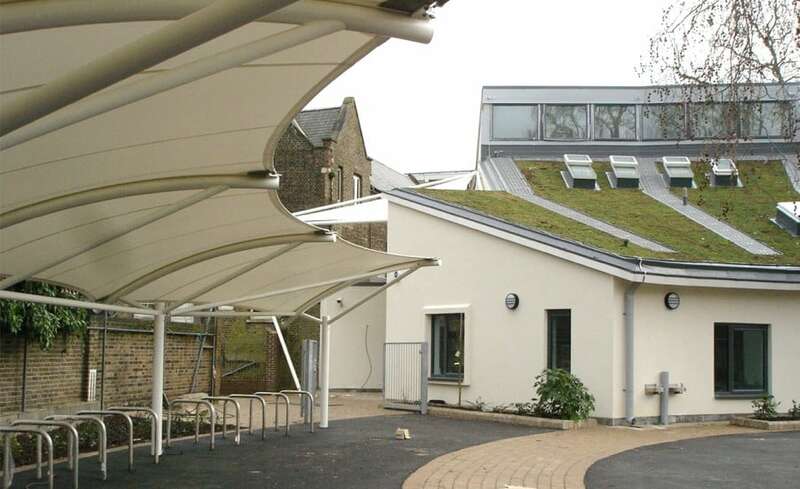 Larmenier and Sacred Heart Primary School, is the amalgamation of separate junior and infant schools onto one site. 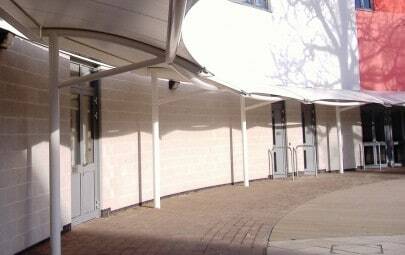 As designers sought ways to accommodate the increased numbers of pupils, they also aimed to brighten up the learning environment. 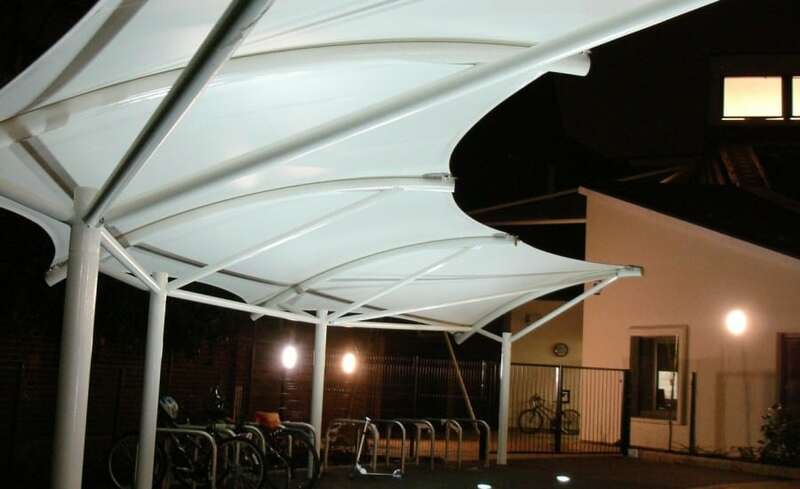 Architen Landrell were commissioned to install an entrance canopy to the school and bike shed canopies for the exterior of the building, along with a series of interior canopies to provide solar shading in the group room. 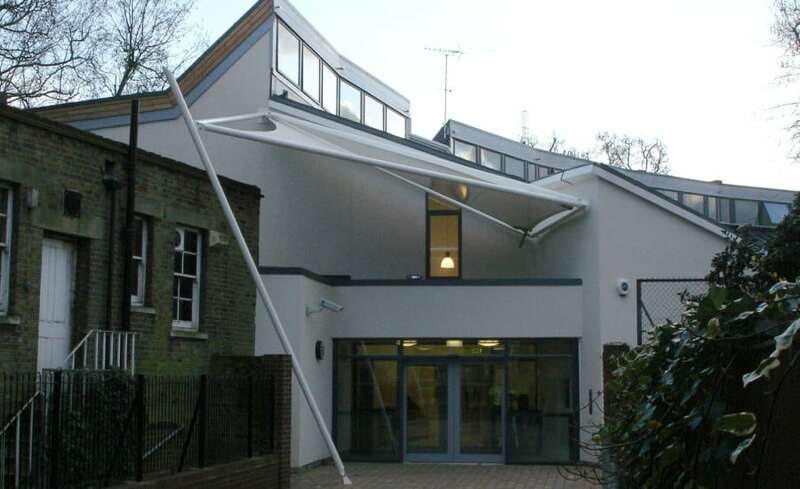 Wanting to involve the children as much as possible, the architect designers, Studio E, asked Architen Landrell to incorporate in the entrance canopy and interior shading a printed design created by the pupils themselves. According to the school, they wanted to create a world for inquisitive minds, where the word “why ” would be encouraged and never ignored. 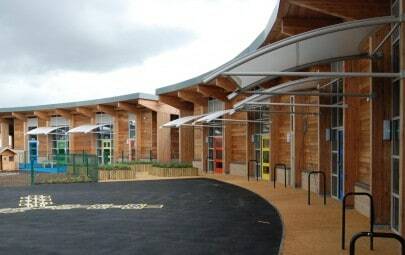 The childrens involvement in the canopy was designed to embody this approach to learning within the actual fabric of the school. The installation of the structures was by no means a simple matter. 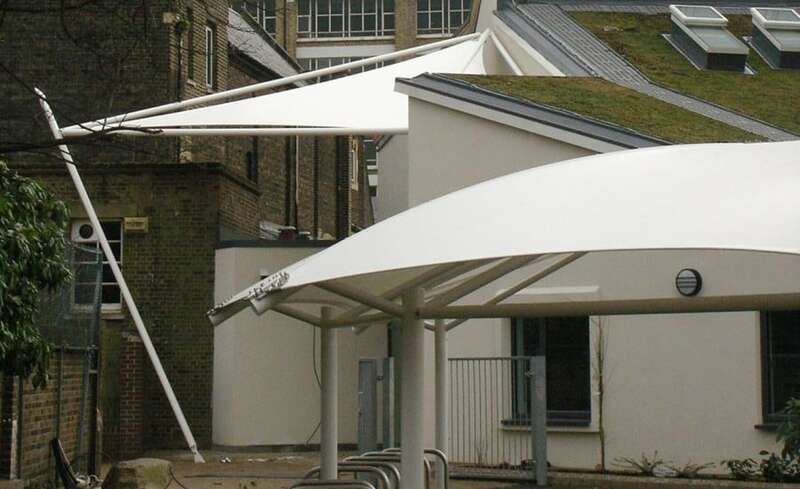 With limited access to the canopy locations on site, use of construction plant was restricted, and Architens design team had to ensure that the canopies could be installed in small structural pieces to ease site installation as much as possible. 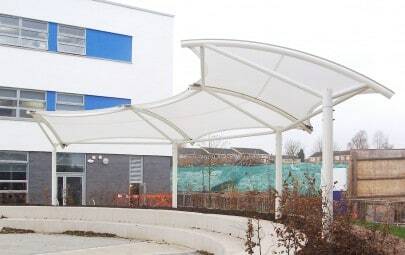 The canopies have proved a welcome addition to the school environment. The leaf patterned fabric worked well to create an instant impact, and provided a point of reference for the pupils.